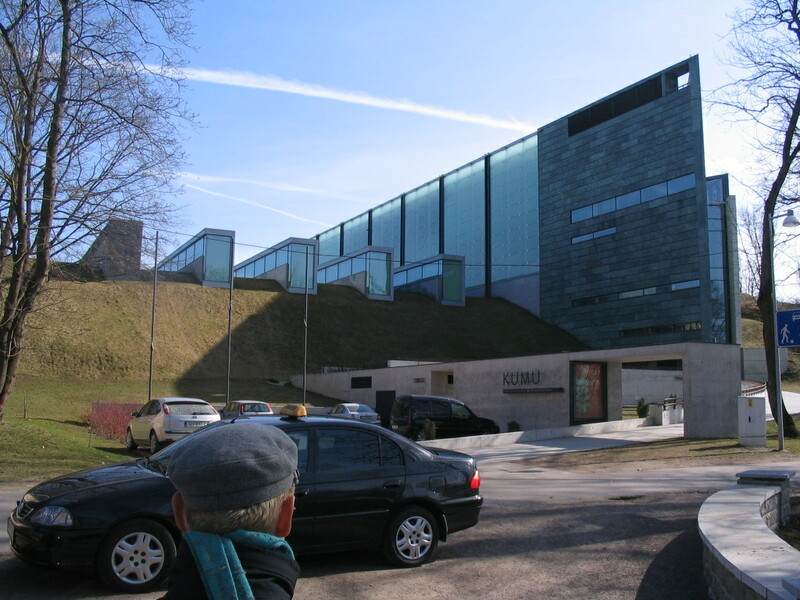 KUMU is the headquarters and newest branch of the Estonian Art Museum. 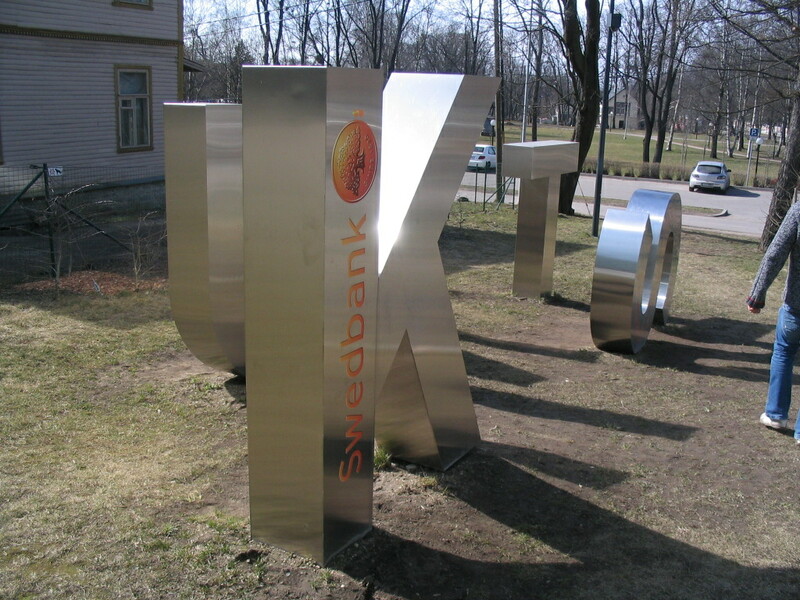 Its name comes from KUnstiMUuseum (Art Museum). 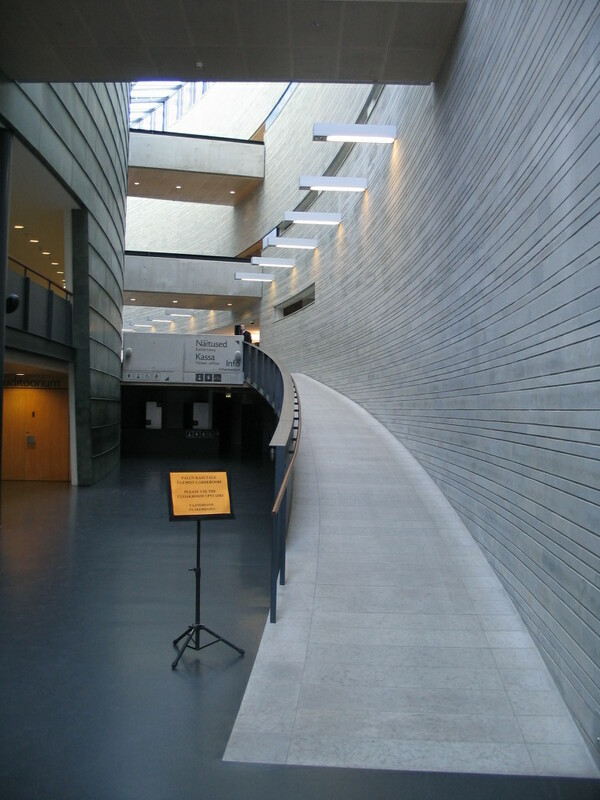 It was designed by a Finnish architect, Pekka Vapaavuori, and completed in 2006. 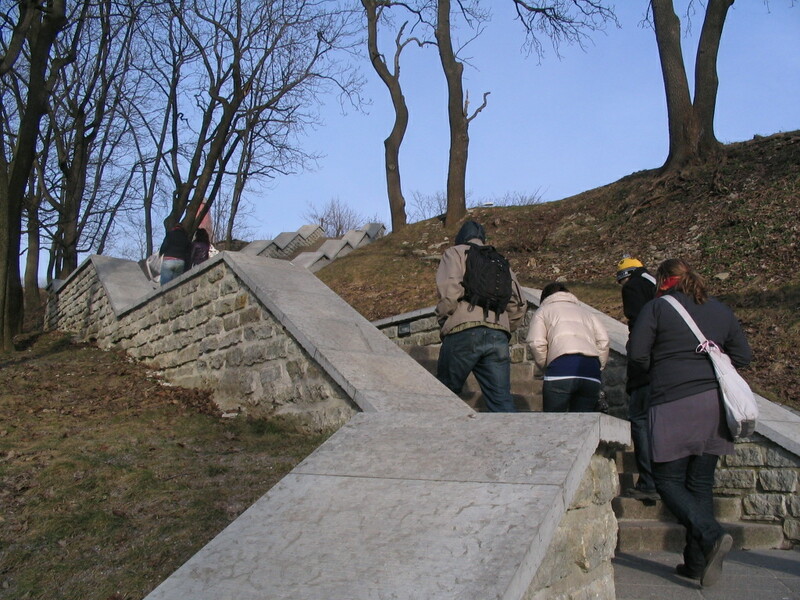 It's very close to Kadriorg Palace. On approach. 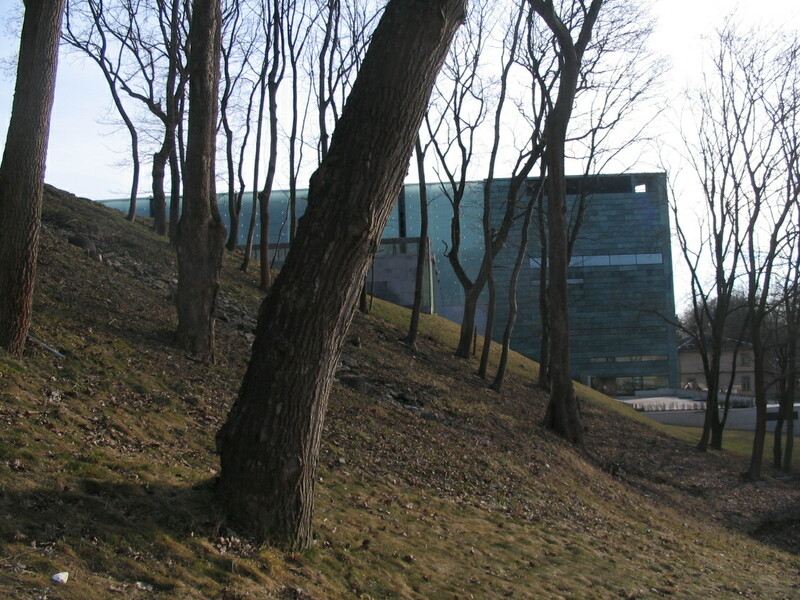 It's built into a hill, as can be seen here, which makes for some very interesting interaction with the ground. 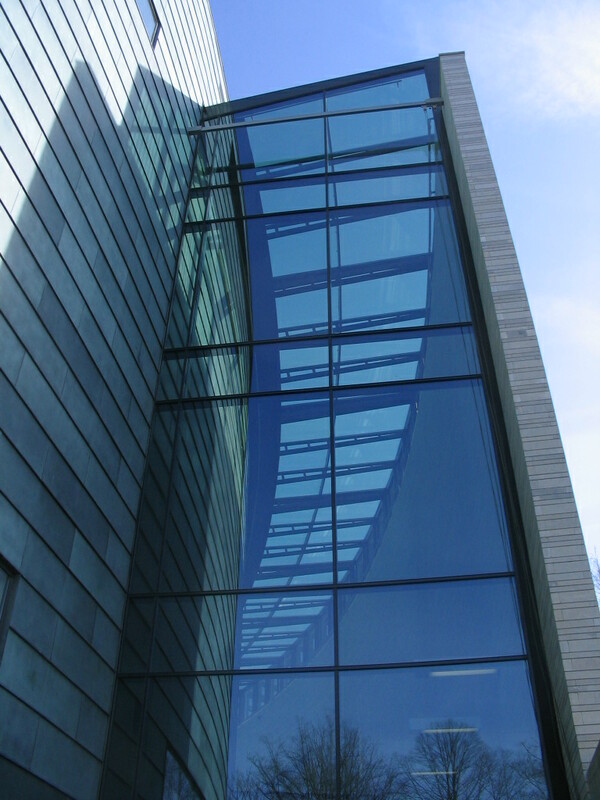 The main circulation is this tall annular space around the edge of the building. 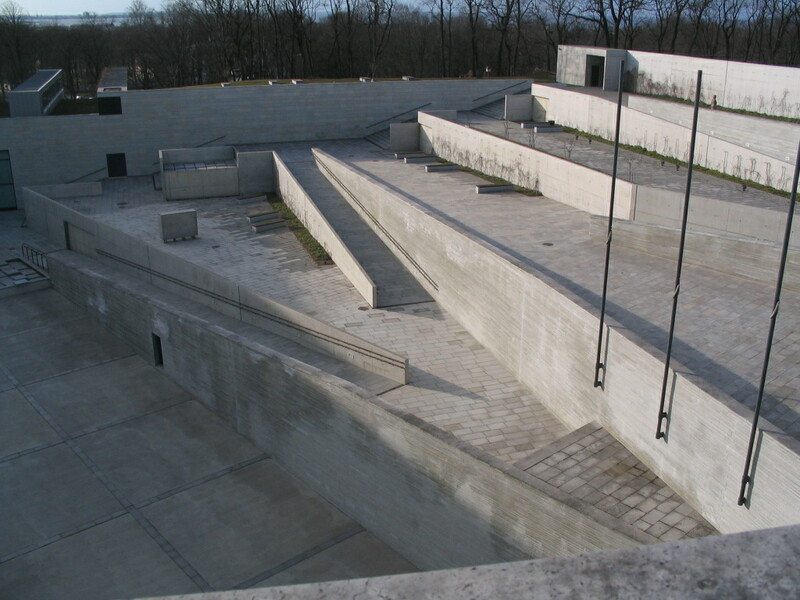 The treatment of the concrete is very nice. 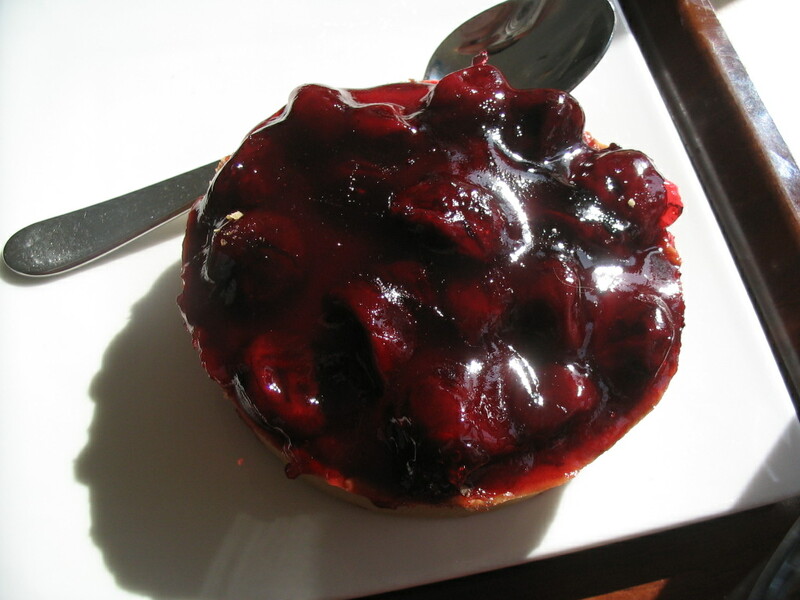 We grabbed a snack in the cafeteria and I got this jewel-like cherry tart. 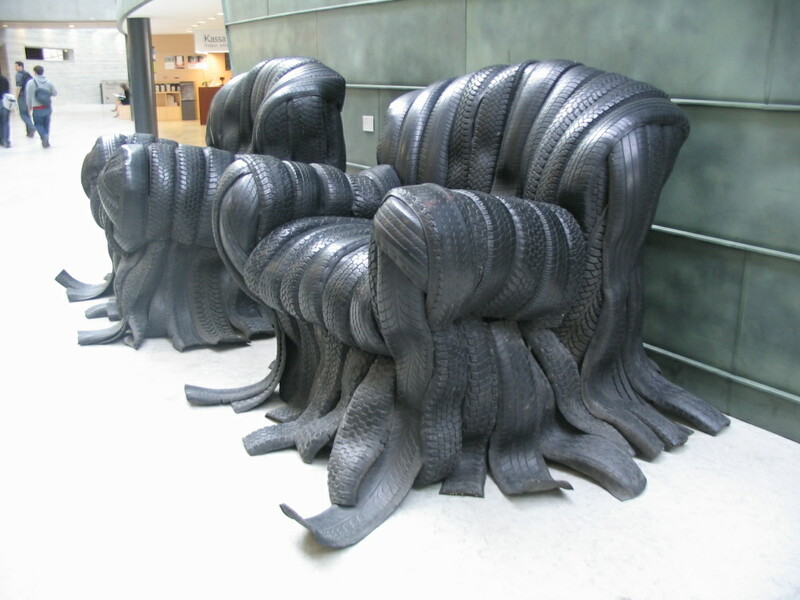 Some awesome, oversize tire-chairs that one was actually allowed to sit on. 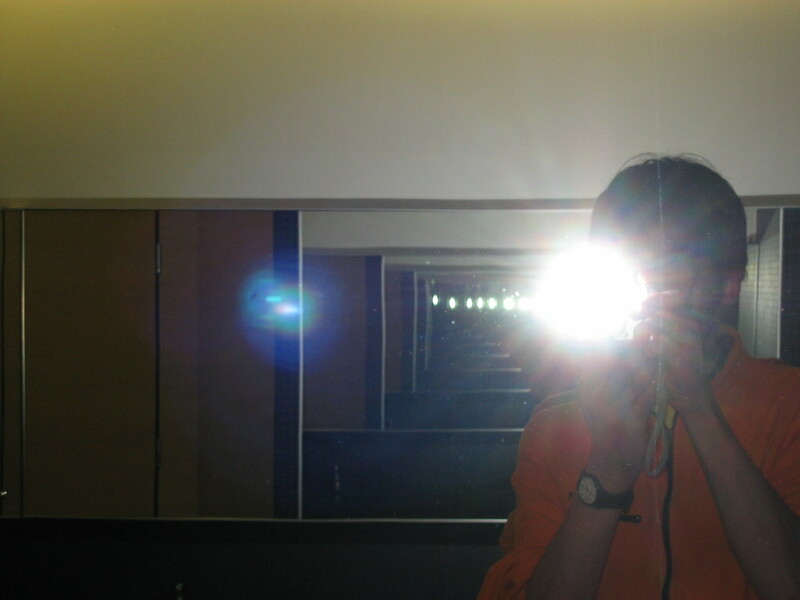 In the bathroom, the mirrors faced one another and produced this infinite tunnel. 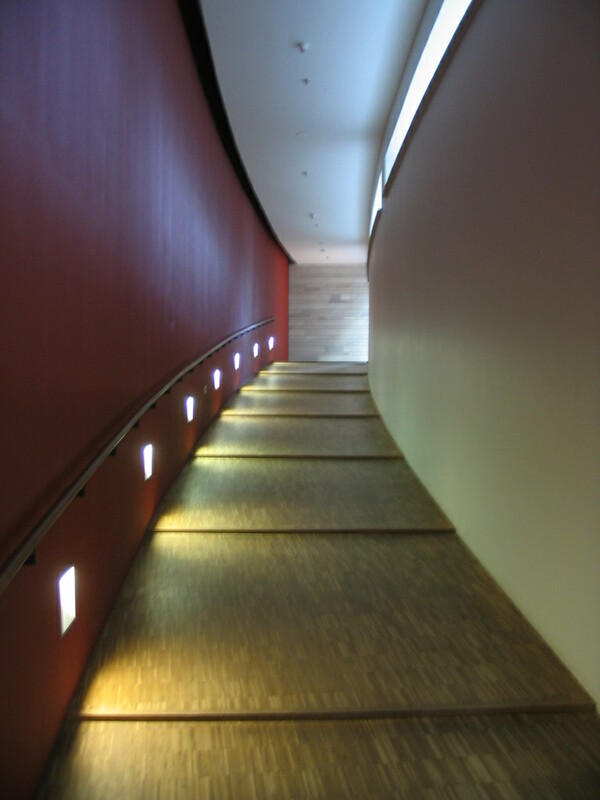 A ramp with slight steps in addition — sort of hazardous (hence the light at each riser), sort of neat. 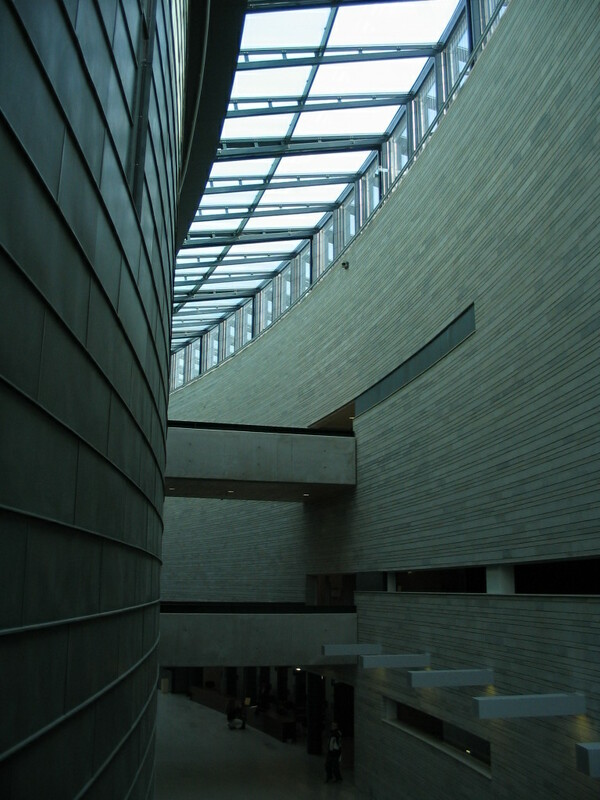 A view of the main hall from one of the numerous bridges. 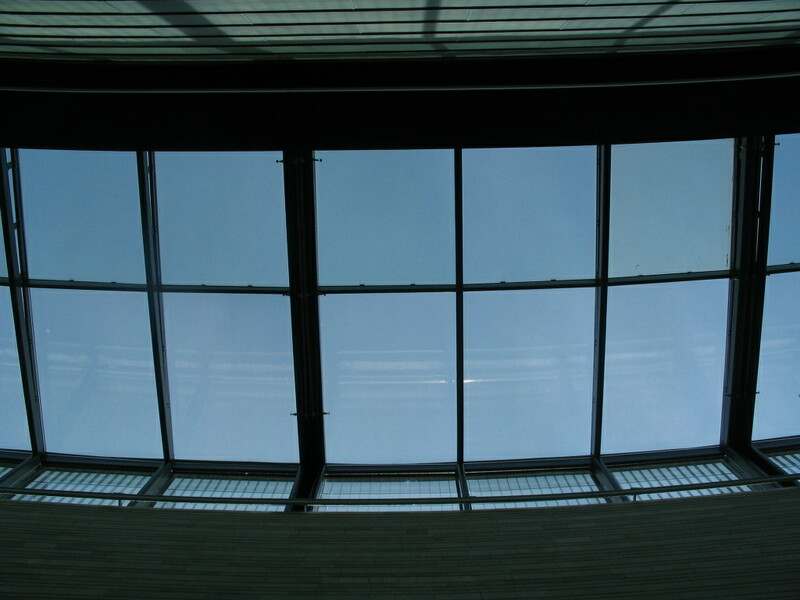 The skylights of the main hall. 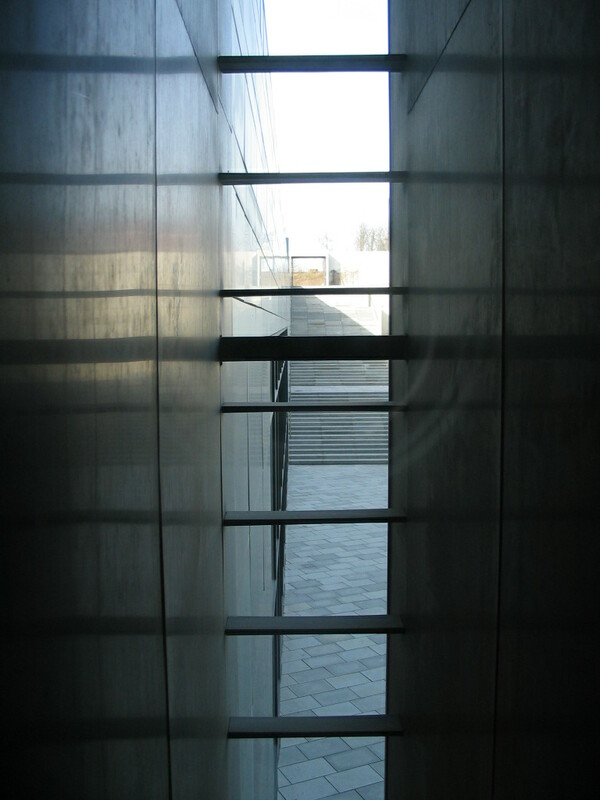 A narrow glimpse into the large courtyard. 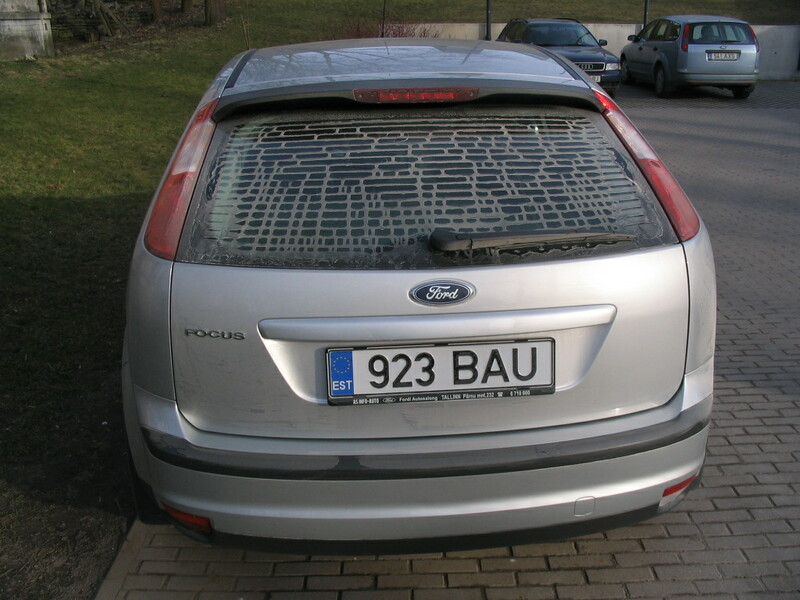 The dirt pattern on the back windshield of this car in the museum parking lot was quite reminiscent of mortar among bricks. 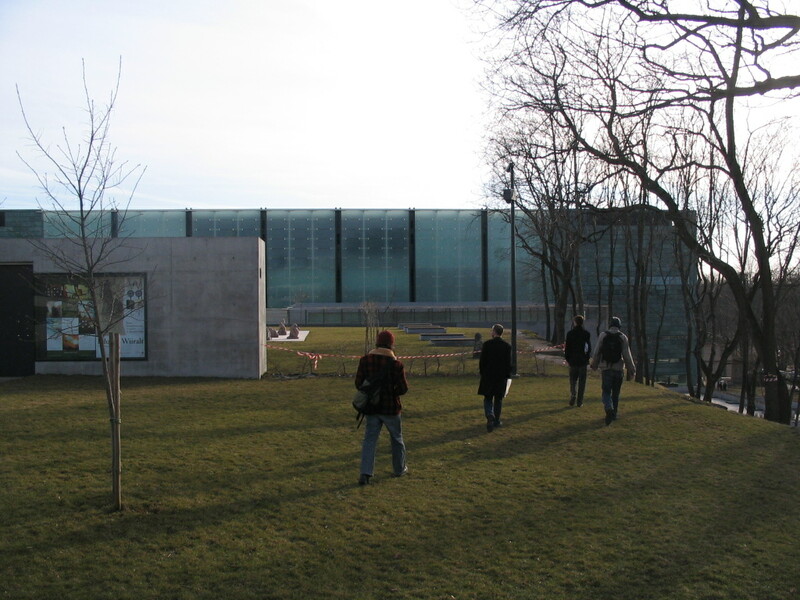 We climbed up to the top of the museum hill to check out the courtyard. We went toward the courtyard but a voice on the PA told us to leave, perhaps because it was after hours at that point. 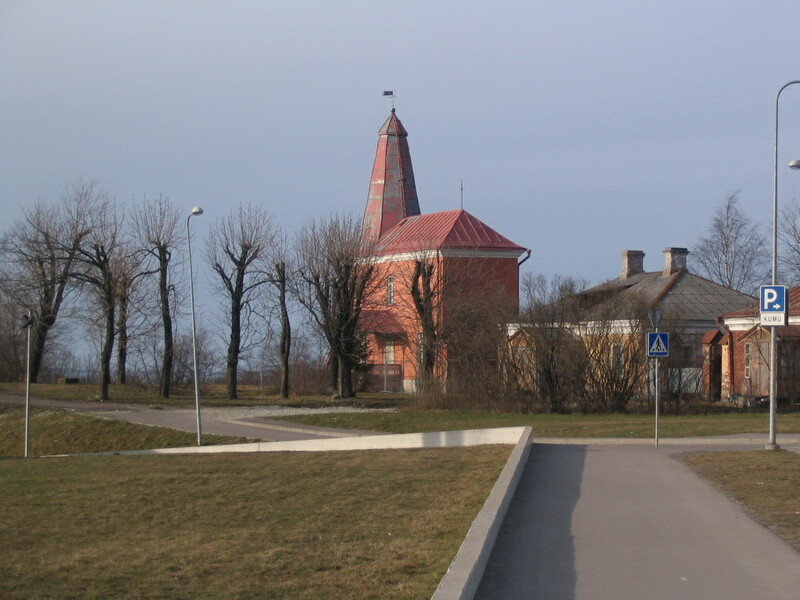 A curious little tower building nearby. The courtyard was rather fascinating, with all these terraced levels and ramps, and a box on wheels that one could get into quite a bit of mischief with, considering the ramps. 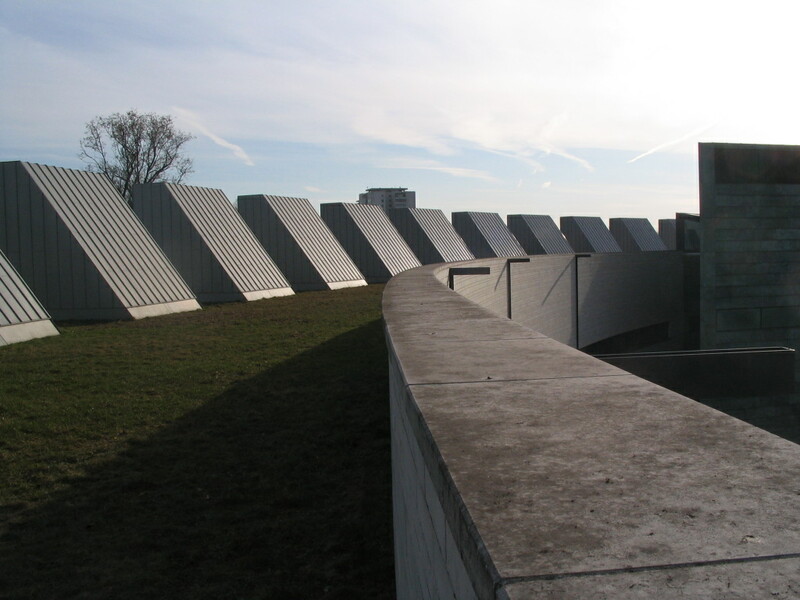 An array of light scoops, I think, around the far end of the ring encircling the museum.